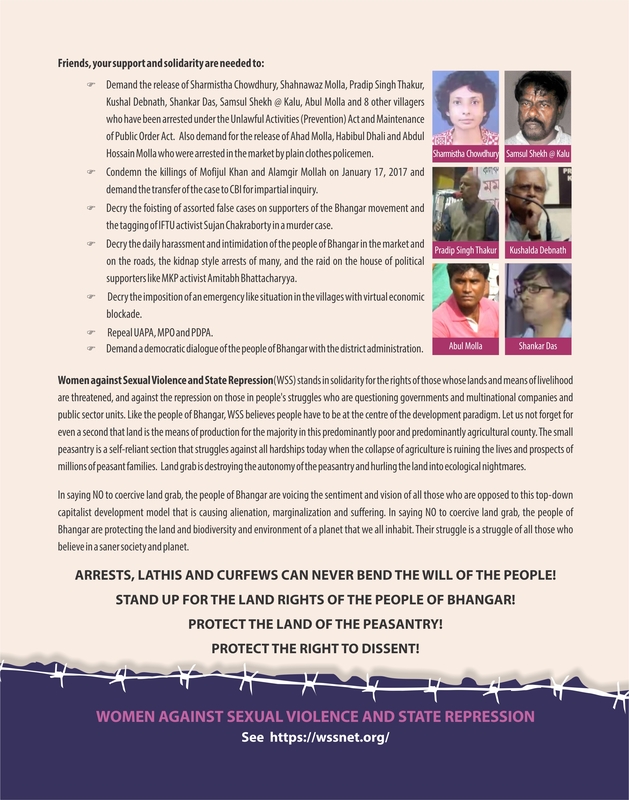 Women Against Sexual Violence and State Repression (WSS) welcomes the Supreme Court order of 12th November, granting interim bail to Soni Sori and Lingaram Kodopi of Dantewada, who were arrested in October 2011 and have been incarcerated since then in Chhattisgarh on fabricated charges. Although a temporary reprieve, we hope that this interim bail will be converted into a regular bail in the next Supreme Court hearing on the matter on 3rd December. 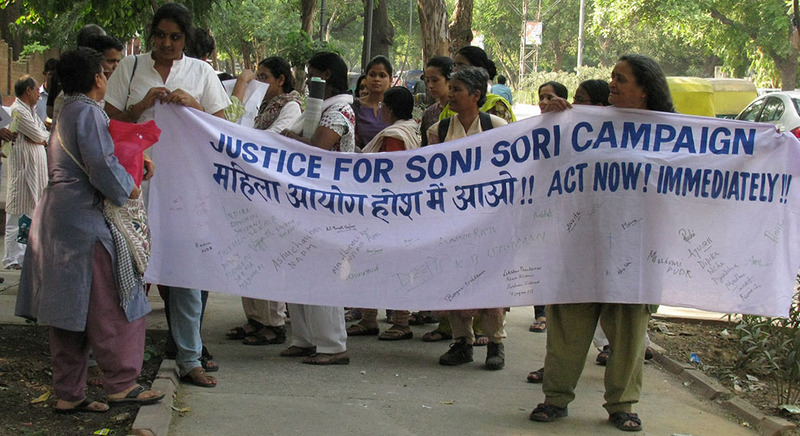 NCW Shamed into Reopening the Soni Sori Case After Gherao! 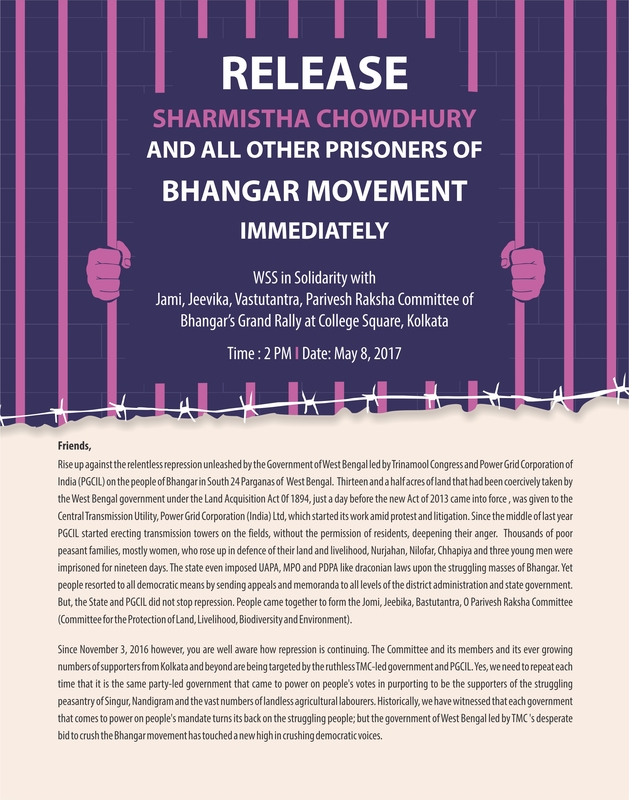 Since the first meeting last year, these organizations have approached the NCW on several occasions to take steps against Soni Sori’s custodial torture and continuing ill treatment. 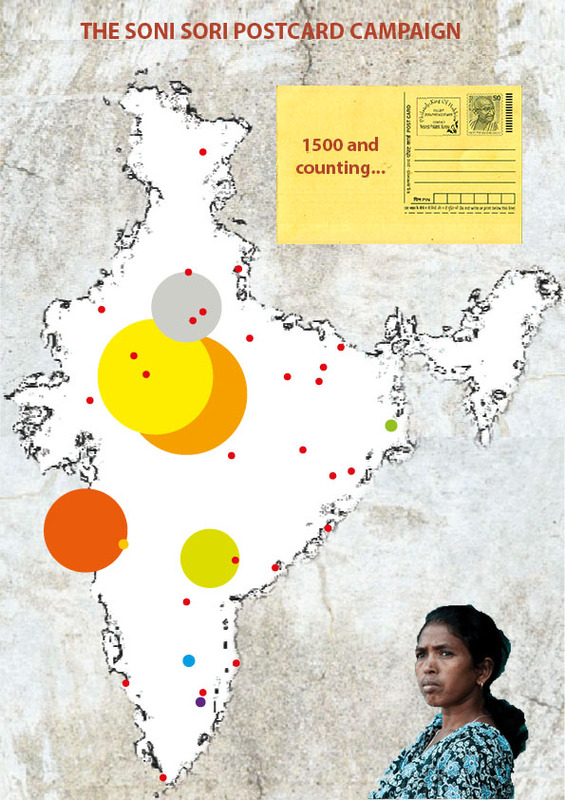 Every single instance of illegality by police and jail authorities was brought to the attention of the NCW. 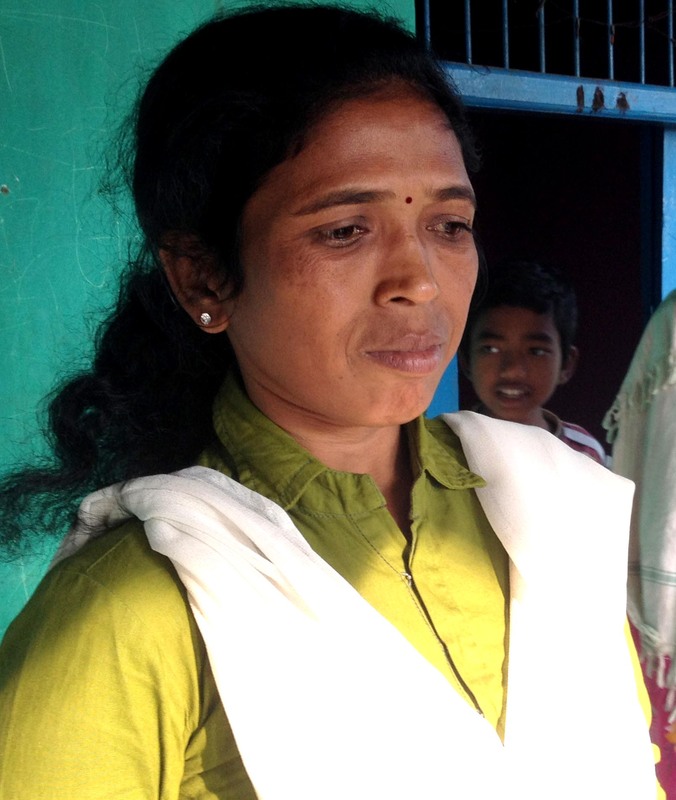 Soni Sori herself wrote to the NCW seeking their help. But all this has fallen on deaf ears.